On June 15, 1965 Bob Dylan, Al Kooper, Mike Bloomfield, bass player Russ Savakus, drummer Bobby Gregg and producer Tom Wilson recorded only one complete take of "Like A Rolling Stone" (after four false starts). On the following afternoon they recorded another three complete takes (11 attempts in all). And it should be take 4 that would change rock music forever. 40 years later "Rolling Stone" magazine ranks it "the greatest song of all time". Now Bob, tell us how does that feeeel? Not bad for a 6-and-half-minutes track at a time where the usual single was about 2-and-half-minutes long. But it wasn't the only thing that was unusual and new with this song. 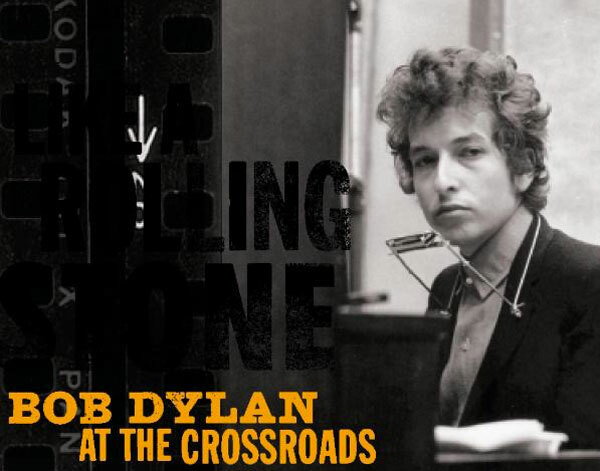 A lot has been written and said about it during the past four decades, now Greil Marcus tops it all with his new book "Like A Rolling Stone: Bob Dylan at the Crossroads", where he dedicates nearly 300 pages to this one song: from its origins and context to the 2003 Italian rap version from "Masked & Anonymous". In case you've ever wondered if the origins of the legendary magazine's name lead to Dylan's classic tune, the answer my friend is no. Bob Dylan, "Rolling Stone" magazine and "The Rolling Stones" all most likely referred to Muddy Waters' blues song "Rollin' Stone" from 1950. "My mother told my father just before I was born, I got a boy child comin', he's gonna be a rollin' stone (...) Well, I feel, yes I feel, feel that a low down time ain't long"
"How does it feel, how does it feel, to be without a home, like a complete unknown, like a rolling stone"